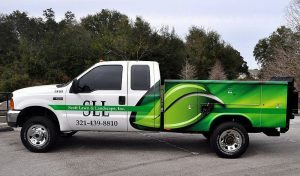 Give your business a boost and build professionalism by investing in vehicle wraps and graphics. 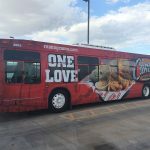 Carolina Custom Signs & Graphics offers auto wraps, business car wraps, boat wraps, ad wraps and more to clients in Greensboro, NC. 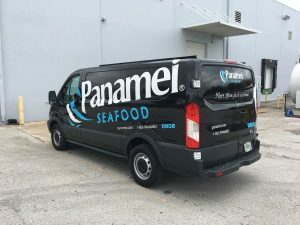 Whether you’re a food truck or a fleet of commercial vehicles, we can create the perfect vinyl wraps for what you need. 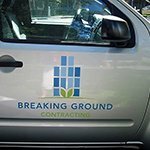 In addition to offering custom design and local manufacturing, Carolina Custom Signs & Graphics also staffs a team of vehicle wrap installation technicians who are specially trained to ensure your project is perfectly executed. 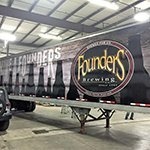 So whether you are looking for commercial van wraps, trailer wraps, boat wraps, truck wraps, vehicle graphics, or car vinyl graphics – the professionals at Carolina Custom Signs & Graphics are happy to help you! Call Carolina Custom Signs & Graphics at (336) 252-2032 for a Free Consultation with a Commercial Vehicle Wrap Expert! 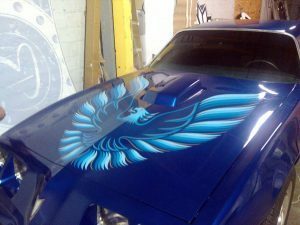 We offer several types of vinyl wrapping, from partial to full. Our in-house design technicians are happy to meet with you to discuss what would work best for your business. 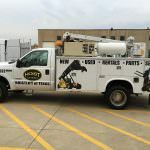 Branding your company vehicles is an extremely effective form of advertisement and it serves a dual purpose: It lends credibility to your business and builds brand recognition. Carolina Custom Signs & Graphics is a full-service sign and graphics company, and we produce our custom auto wraps in-house right here in Greensboro, NC. 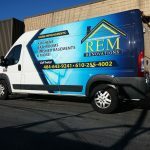 Consider the value and credibility that fleet vehicle wraps and car graphics bring to your business. Many businesses in the service industry rely heavily on automobiles, vans, trucks or even boats to operate. Lawn care companies, towing services, house cleaners, delivery services, installation technicians, in-home healthcare, electricians, plumbers, and mobile mechanics are just some examples of professional service businesses that come to clients. 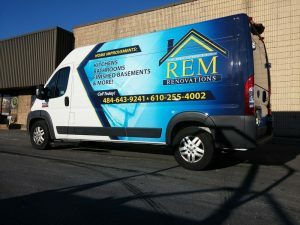 A professionally designed and installed commercial wrap can create immediate credibility for your clients and improve the opinion they have of your company. In many cases, such as for a food truck or a moving company, custom vehicle wraps are the only branding a client will see, as these businesses typically do not have a brick and mortar store open to the public. 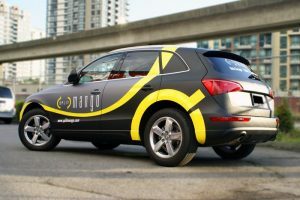 In addition to boosting consumer confidence, a branded vehicle can also serve as an accountability measure for employees, who may be more careful when driving a car that has a phone number or website for your business on it. A business vehicle wrap is another way you can spread awareness and promote your services. Carolina Custom Signs & Graphics offers free consultations – get yours today by calling (336) 252-2032! 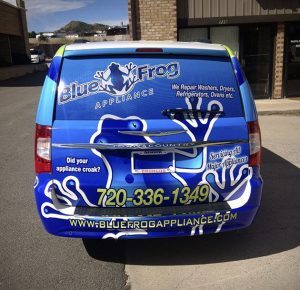 Our vehicle wraps are completely customizable, meaning we can suit your business and budget! Carolina Custom Signs & Graphics offers several coverage levels for your automobile that can be customized based on the needs of your business or budget. Our specialty vehicle wrap team would be happy to help you decide which option works best for you – call us today at (336) 252-2032! It’s important to give a lot of thought and consideration into your vehicle wraps. An improper installation or a poorly done design can do more harm to your business than good! Branding is increasingly important, as graphics become more sophisticated. As a full-service sign company, Carolina Custom Signs & Graphics employs a talented array of graphic designers to create high-end vinyl wraps, and any other business signs you may need, whether indoor signs or outdoor signs! 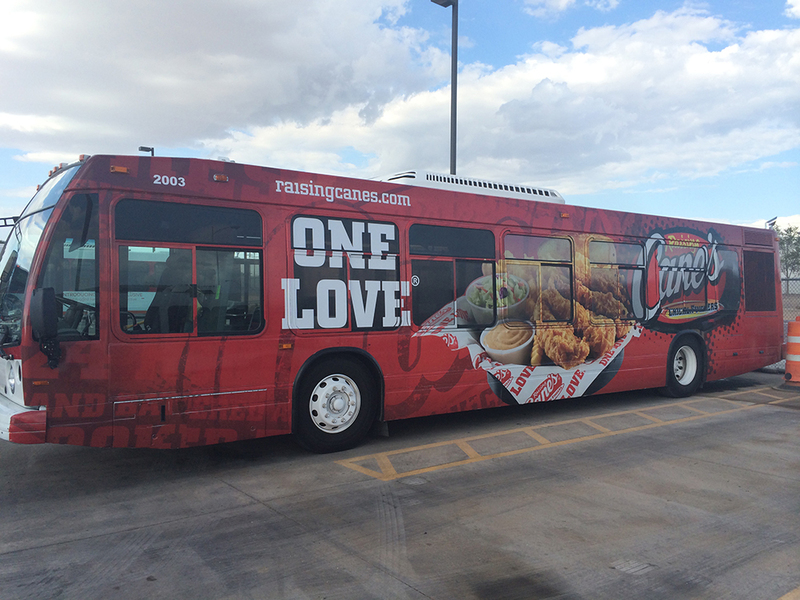 There’s no better way to turn your vehicle into a full advertisement than a complete vehicle wrap, which offers seamless coverage to your car, truck, van, bus, or trailer. 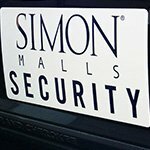 The striking, full-color vinyl graphics allow you to customize your message, look, and brand. 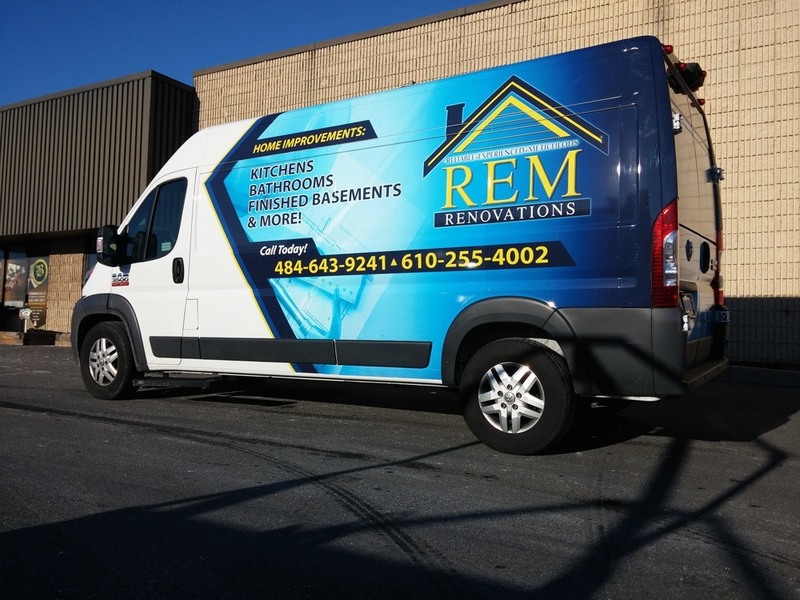 For customers looking to maximize their visibility, a full vehicle wrap is the way to go! 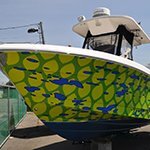 Our premium-quality heavy-duty vinyl also offers protection, an added benefit for vehicles that are heavily used or for watercraft, such as boats and jet skis. A partial vehicle wrap is a great option for clients interested in the seamless look of a vehicle wrap but who – either for budget or branding reasons – don’t need a full car wrap. 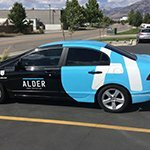 Our team can work with any vehicle type, taking into account the vehicle paint and aesthetics when designing your partial wrap so that it blends perfectly. And while a partial vehicle wrap is more economical than a full wrap, it’s still an incredibly impactful way to get your brand noticed! 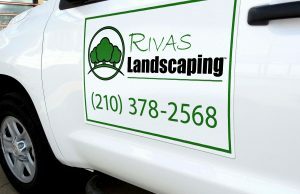 We use our heavy-duty vinyl to produce singular graphic elements like logos, addresses, magnets, and icons. These individual elements are easy to apply and easy to remove, making them easy to update. As our most economical solution, may clients find this a great option for their contracted services, especially those who represent multiple companies or work under various business names. Mobile advertising has the best return, offering a lower cost per impression than most print and digital advertising! 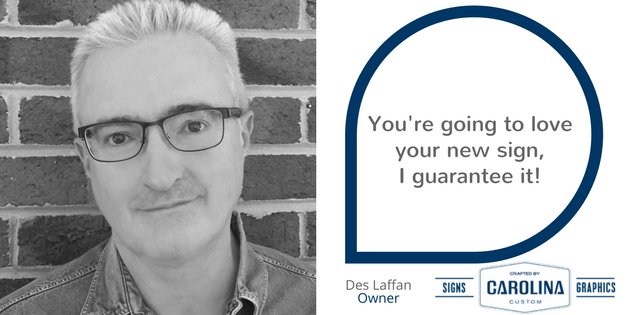 Many hard-working business owners don’t have time to consider the long-term impacts made by signage and custom vehicle wraps. Luckily, we do! Our team of designers are well-versed in mobile advertising. Carolina Custom Signs & Graphics wants to make sure you see a return on your investment, so we apply industry-standard practices to our vehicle wrap process. All of our designs are produced in-house, right here in Greensboro, NC. Your business uses a trailer. We can utilize vinyl graphics to create an economical branding package for your trailer. 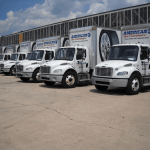 Your company has a fleet of vehicles. Each vehicle is an individual opportunity to advertise. You make house calls! 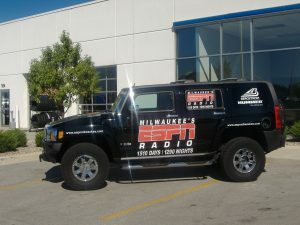 Clients appreciate the credibility that a branded vehicle brings. You don’t have a traditional storefront. Think of your business cars as brand ambassadors, spreading the word about your business and pointing potential clients to your website. Upgrade your ride with unique graphics! 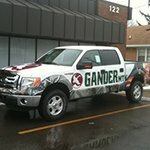 In addition to commercial wraps, we also provide personal vehicle wraps, graphics, and vinyl elements. Whether you are looking to do a color change, add stripes, lettering, numbers, or any other type of car graphic, Carolina Custom Signs & Graphics is here for you. We have a wide array of vinyl materials at our disposal, allowing us to create a completely custom look for your car, truck or van, allowing you to stand out on the streets or at the track! 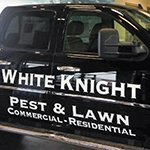 Our highly-rated sign company manages each element of your vehicle wrap in-house. 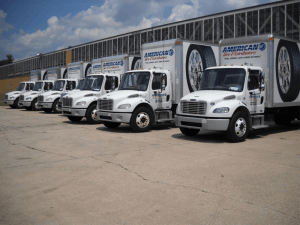 By offering complete commercial vehicle wrapping services, we provide complete oversight through each part of the production process! This means that you get expert advice, design, products, and installation from the professional technicians and service providers of Carolina Custom Signs & Graphics every step of the way. An initial consultation with a vehicle wraps specialist. Each project at Carolina Custom Signs & Graphics starts with an evaluation – at no cost to you! The goal of this meeting is to understand your objectives. We work with you to maximize the impactfulness of your message. During this consultation, we will get the details on the vehicle to be wrapped and any existing brand guidelines that may need to be met. Our specialist will take photos, get a good idea of the design and level of wrapping you want, and gather any other information relevant to the scope of the project. 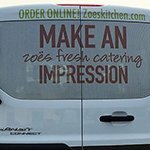 This initial consultation facilitates great communication – we want to ensure that your vehicle wrap project exceeds your expectations! After gathering information during our initial consultation, a member of our design team will create a design and send a proof to you for your review. We take into consideration your vehicle type and design a wrap that not only complements your brand, it also complements the shape of your vehicle for an attractive, professional design. Our professionals make sure that you are fully confident in the look of your vehicle wrap before it goes into production. After approval, your design will be produced in-house. Our expert vinyl wrap fabricators will carefully assemble the final vehicle wrap design. Once complete, our installation technicians will install your vehicle wrap. Because the way your vehicle wrap is installed can affect the longevity of the wrap itself, our technicians will coordinate with you to schedule an install during the correct temperature and time-frame. Carolina Custom Signs & Graphics also offers a full range of sign printing services, such as exterior signage, indoor signs, business signs and more. We can coordinate an entire, cohesive branding package for your business! 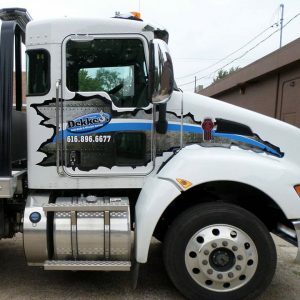 For a custom vehicle wrap, commercial truck wrap, trailer wrap or van wrap, or entire fleet of vehicles, work with experts dedicated to outstanding products and support.